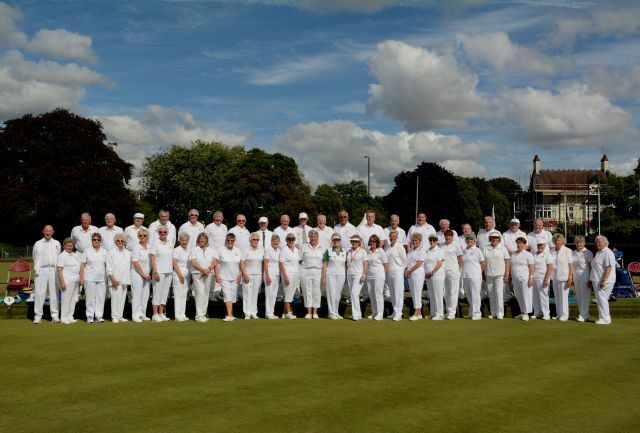 At Leamington on Thursday 6th August the Friends of English Bowling took on the Bowls England Presidents Women’s team (well nearly all women) in the first of the challenge games which are played during the National Championships. It is not the “done thing” to beat the President’s team and we duly obeyed the custom winning on five rinks, drawing on one, and losing overall by 217 shots to 235. The Friends highest winning rink was comprised Martin Greener (Bedfordshire); Julie Greenwood (Hampshire); Wendy Cross (Oxfordshire) and Bob Fredericks (Wiltshire).